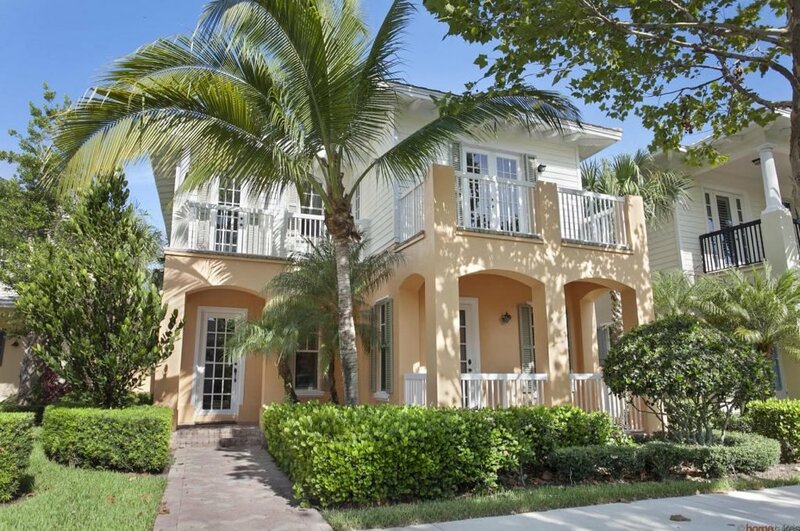 Botanica in Jupiter FL is a wonderful community with a mix of single family homes and townhomes. Conveniently located in the center of Jupiter, residents love the convenience of being able to walk or bike to the grocery store, Starbucks, salons, restaurants and more. Botanica in Jupiter offers a total of 477 units, has two community pools, playgrounds, a 60-acre natural preserve, lakes, nature trails and bike paths. Townhomes in Botanica range in size from 1250 to over 2000 living square feet, and the single family homes range from 1800 - 5450 square feet of living space. The developers of Botanica include Centex, Ecclestone and New Urban Communities. Botanica offers a charming array of elevations and home styles and is simply a wonderful community to live in! WOW! Lowest priced townhouse in development!!!! All hurricane impact windows. Upgraded unit in Sandpiper Cove. This 3 bedroom 2.5 bath with balcony in Master Suite. Beautiful tiled floors in open kitchen/family rooms. All granite and SS appliances and a 2 CAR GARAGE. Upper level has laundry and Master. All bedrooms have WIC and a large pantry in kitchen. Walking distance to Publix, Starbucks, Eateries, Salons etc...all in Sea Plum Plaza.